Be an avatar in a Video with Airside Andy! Who wants to Play with us? Join us for our very 1st Twitter Party in conjunction with SpectreCom Films & Mothers and Shakers! We want to share all the new features of our latest app update with our Airside Andy friends and will be celebrating the update with a live gaming session featuring prizes! NEW games, NEW costumes, NEW hangar spaces to decorate and call your own, a NEW-look Airside Andy … and we want you to be a part of it all! The social media activity will showcase Character’s Airside Andy’s new app update with parents online. A hashtag created for the event – #AirsideAndyTravels – will encourage fans to join in with the activity on the day with the aim of 30 minutes of live gameplay followed by Twitter conversation on the joys and stresses of family travel. 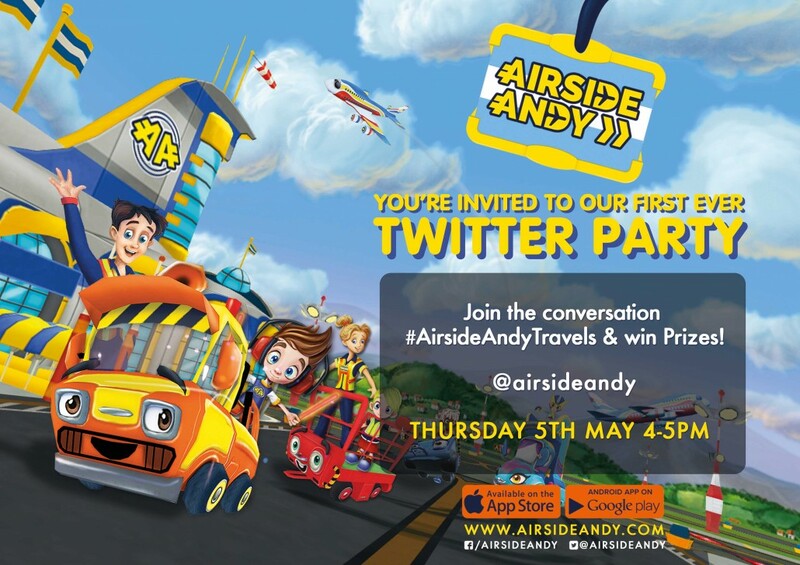 At our #AirsideAndyTravels Twitter party we’ll be sharing the ups and downs, the excitement and the madness of travelling with kids, including the best places to travel to with young ones. Come and share your stories for a chance to win prizes. When you tweet your tips, comments and ideas during the hour-long event, you will automatically be entered into a prize draw to win 1 of 5 £10 iTunes vouchers. We’ve put together a Twitter Team that includes blogging experts @BabesaboutTown and @Jax2000 , games developers @flyingsquirrelgame in Malta and Canada and Airside Andy will be tweeting live from the UK. @AirsideAndy will be your host covering the activity on the airfield and the workshop as we cover your questions on the Twitter feed; and @spectrecom Films will be tweeting and filming the action from their London Studios, to be aired on iTunes and Google Playstore! What’s more we’ll be giving away 5 x £10 iTunes vouchers to Twitter Party players! Now if that isn’t a Twitter Party, I don’t know what is. All we need is YOU to join us! Why Participate in the #AirsideAndyTravels Twitter Party? 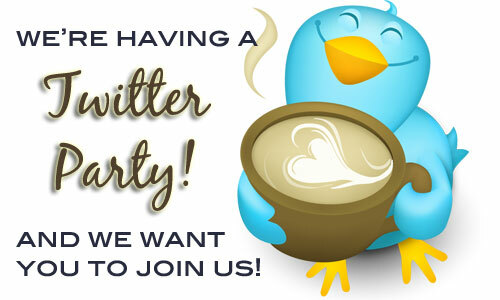 Twitter parties are a lot of fun and a great way of building your network! 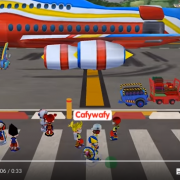 A Twitter Party is a fun, fast-paced forum discussing a specific topic – in this case it’s Airside Andy and kids travel. Questions will be asked via tweet and party participants tweet back responses and comments by including the hashtag #AirsideAndyTravels. It’s easy and it’s fun! First of all, you will need a Twitter account. If you need one, click here. Then join in the conversation by including the hashtag #AirsideAndyTravels in your post. A hashtag is a word or phrase that is used to connect all the tweets. This makes it easy to find all the content related to the conversation. The first half of the party – from 4.00pm – 4.30pm will involve live gameplay of the Airside Andy. You can download the game through iTunes or Google Play. Get in touch with the name of your Airside Andy avatar before the 5th May and we will give you 5000 coins for free, to spend in the game. The second half of the party – from 4.30pm – 5.00pm – we’ll be taking discussion on the subject of travelling with kids. Throughout the hour session, we’ll be giving away iTunes vouchers – the more you tweet, using the hashtag #AirsideAndyTravels the more chances you’ll have at winning.